Dan Smith: Attached is a picture of a car sponsored by W. R. Fairchild Construction Co. in Hattiesburg, Ms. and driven by Bob Herring. 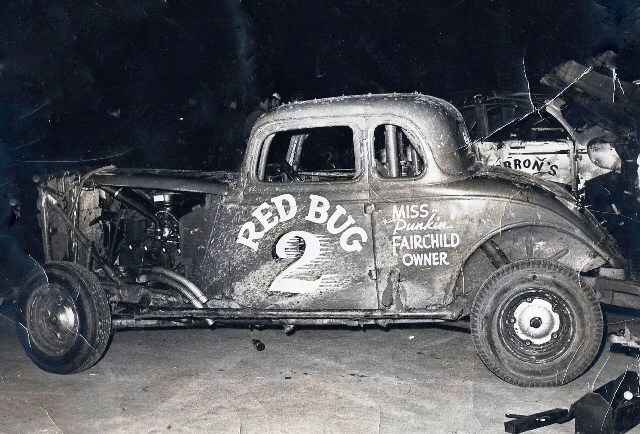 The car in background was sponsored by Barron Motor Co. in Hattiesburg and was driven by either P. A. Luper or Clint Mchugh. This Pic was taken at the Laurel Fairgrand track. I am not sure of the year. 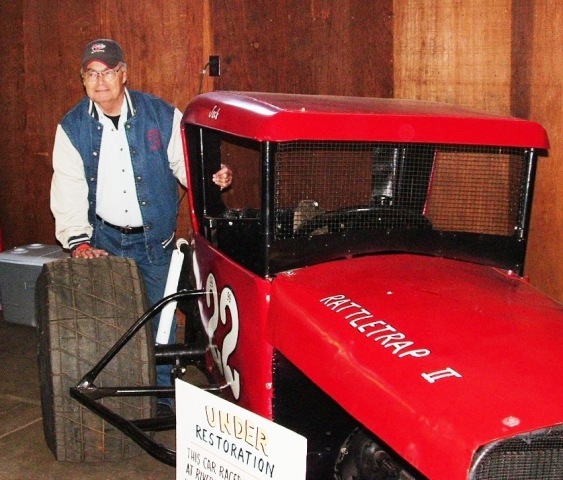 During that time Bob Burris of Hattiesburg and myself owned a car Numbered 88 and were running the roads with Bob Herring (that was an experience) When our car was down we pulled the Redbug and took Bob Herring to the track sometime. At that time, I was running the CQ barn on 49 South behind the resturant bldg. now owned by the Duff amusement group. I had Jimmy Swan and his band for music. A local gentleman had some gambling in the log cabin further back on the property. Sometimes I am amazed I lived thrugh those years as I was 19 to 20 years old.